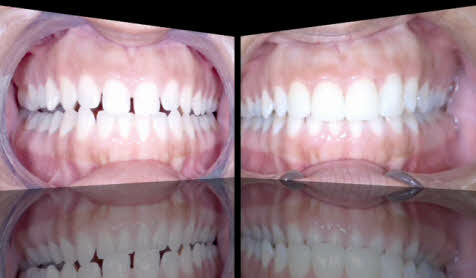 Many people are thrilled to have their smiles transformed through dental veneers. They hide imperfections and create a whole new smile, as well as a whole new self-confidence. Veneers are thin tooth-colored shells, often made of porcelain, that are adhered to the fronts of your teeth. These restorations can last for many years looking as good as the day you got them, but that might not be the case without proper care. Here are some guidelines to keep your veneers looking great. Veneers are made to resist stains, but the bonding cement used to attach them can become discolored. Ask your dentist if there are stain resistant bonding products that may be used to decrease your risks for stains later. Use a soft toothbrush and non-abrasive toothpaste, such as mild fluoride pastes instead of whitening pastes. Pay attention to your gum lines, where food can accumulate and damage porcelain veneers. Try using varying degrees of pressure when brushing to see what works best for you, and consider an electric toothbrush that applies consistent pressure. Make it a goal to brush after every meal. As with your teeth prior to veneers, flossing once a day is important. Avoid foods and drinks that are known to stain teeth. Coffee, red wine, tea, berries, tomatoes, and curry are common culprits. Smoking can also cause teeth yellowing. Also, don’t bite down on hard objects because your veneers are susceptible to chipping. Maintain regular checkups with your dentist every six months. Even patients with careful oral hygiene can still experience plaque buildup, gum disease, and slight staining of their teeth. If you see stains appear on your veneers, visit your dentist for a professional cleaning. Proper maintenance will help ensure your veneers keep you smiling for years to come.